Our call has been heard! The Grindmill songs project is now fully supported by PARI (People’s Archive of Rural India, started by P. Sainath). Visit their website! Thanks for sharing and circulating! My name is Bernard Bel. I am a retired computer scientist formerly appointed with Laboratoire Parole et Langage, a speech research laboratory of CNRS/AMU. 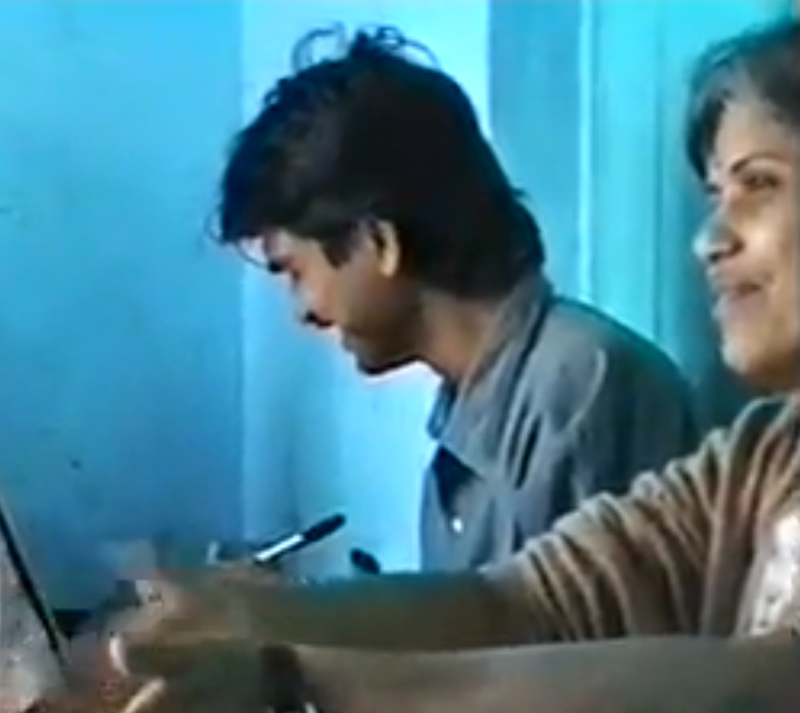 Twenty years ago, I joined the team of Centre for Cooperative Research in Social Sciences (CCRSS) created in 1980 by Hema Rairkar and Guy Poitevin to promote action-research work on social activism in Maharashtra (India). The CCRSS team enlisted the animators of an informal group named “Collective of the Poor of the Mountain” (Garīb Dhongarī Sangatnā, GDS, गरीब डोंगरी संघटना). GDS had placed its focus from the start on the empowerment of women belonging to downtrodden rural communities. In this context, they understood the self-expressive power of singing at the grindmill before sunrise, a collective feminine act of speech. Poetic creation and interpretation of these songs do not stand as an utterance for one’s own sake, private benefit or solitary satisfaction. They are aimed at establishing an interpersonal relation, a binding between subjects. In 1996, thousands of song texts had already been transcribed and classified by collectors belonging to the same rural communities. The Grindmill songs project was supported from 1993 to 1998 by UNESCO, the Netherlands Ministry for Development Cooperation and the Charles Léopold Mayer Foundation for the Progress of Humankind. Although Marathi is the common language of Maharashtra, peasant singers often assign unusual semantic contents to words and phrases, along with implicit references to events and behavioural patterns characteristic of their world. Therefore, the corpus of grindmill songs needed to be strongly structured to enable systematic analytical work. In addition, spoken/sung language requires the sharing of transcription and spelling conventions for the sake of text consistency (in Devanagari script). I trained the team in the use of a relational database linking texts, performers, locations and semantic classification (see description). In the same time we started doing systematic sound recordings of performances in villages using digital audio tape (DAT) and we collected a small footage of video recordings. The corpus of grindmill songs in Maharashtra has been used as a documentary material for reference publications in English, French and Marathi languages until the death of its initiators in 2004 and 2010 (see bibliography). The practice of singing at the grindmill almost disappeared during the last decade because of the availability of mechanical devices. I had a personal commitment with Guy, Hema and the CCRSS/GDS teams to taking care of the long-term preservation and public dissemination of this unique piece of cultural heritage. The corpus should be available free of charge to scholarly research (linguistics, musicology, social anthropology etc.) and in the same time returned to the community from which it originated. This challenge is met today thanks to the availability of free networking resources. In March 2015, the project was revived after the donation of customised equipment to the team working in Pune. Together we designed the initial publication format of the corpus. This required a serious investment in re-engineering the database. The “I tell you woman!” website (http://grindmill.org) gives access via its database to the texts and classification of more than 110,000 songs, among which about 40,000 have been translated to English and/or French. Source data is stored on the SLDR/ORTOLANG repository of linguistic resources dedicated to long-term preservation and open-access dissemination. For example, songs collected in the village of Mogra are available on this page, along with (incomplete) translations, access to sound recordings and links with all related material. The project team is in charge of completing English translations, finalising transcriptions and finishing the indexing of sound recordings. It is directed by Ms. Asha Ogale, a documentalist and translator who has gained expertise of this language over two decades. 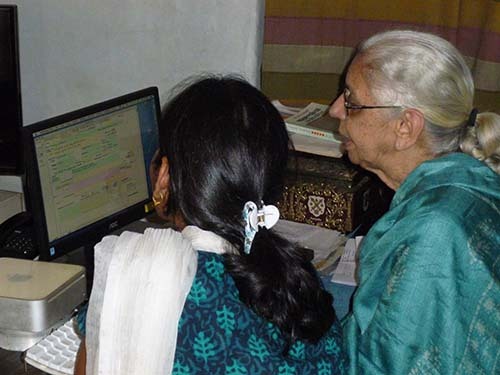 She is assisted (part-time) by Ms. Rajani Khaladkar and Mr. Jitendra Maid who have been involved in the collection and analysis of songs since the onset of the project. I personally work on the indexing and chunking of sound recordings, as well as uploading revised metadata. Working with our core team is indispensable for the consistency of transcriptions, translations and indexing. The duration of the project has been estimated two years and its budget (indexed on the exchange rate of Indian Rupee) would be approximately 560 euros per month. Planning and deliverables (as anticipated in June 2015) are listed here. Unfortunately, work has been interrupted since July 2015 due to the lack of financial resources. Delay is problematic since the elder team member is already 81-year old. We are also trying to affiliate Indian team members with a (public or private) research institution, in India or abroad, as it would render the project eligible for grants from funding agencies such as the ELDP/SOAS in the UK or ELP in the USA. Given the size, quality and uniqueness of this cultural heritage, we strongly believe that institutions taking care of endangered languages will find it worth supporting. We call for all kinds of partnership in which several institutions could be involved. Corporate patronage is also welcome (send mail to contact(at)grindmill.org). Individual donations are collected and forwarded by Association Guy Poitevin Inde-Mayenne (GPIM) whose president is Jean-Marie Poitevin (Guy Poitevin’s brother). Even a few euros of support on your part will be warmly appreciated, as it may allow us to resume project work without delay! This entry was posted in news and tagged CCRSS, GDS, grindmill, Maharashtra, music, poetry, singing, women. Bookmark the permalink.